Our Facial Care helps rejuvenate & restore skin health, acne, aging, inflammation, and sun damage. Located in Fair Oaks CA - Contact us for an appointment. Reactivate collagen and look naturally younger with thread lifting. Thinking about getting a facelift? Did you know there is a more affordable and less invasive alternative that produces similar results? 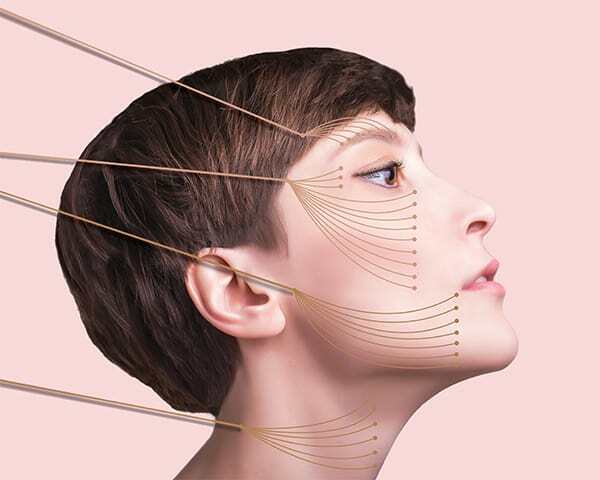 Thread lifting, done under local anesthesia, uses new technology that both tightens up the skin and promotes the growth of collagen naturally stimulating the growth of new youthful skin. Thread Lifting gives you the small lift you want without the long recovery time. This procedure lifts the skin, instead of surgically removing loose facial skin. The EntourageMD team uses thread lifting to suspend the skin by stitching up small, loose sections. This non-invasive tightening of the skin helps you look naturally younger. As we get older our bodies produce less collagen, which directly affects our skin strength. Old skin becomes weak and unable to support tissue the way it used to. Reactivating collagen through thread lifting helps restore and rebuild damaged skin. You should notice improvement in your skin’s structure and tone after your thread lifting treatment. Using the unique technology of threading, tissues are held in place without any visible scarring. Threads advanced through tiny incisions made behind the hairline begin to lift targeted skin. Once in place, your body forms new collagen bundles around the thread, which maintain the hold. Unlike typical sutures, threads have tiny barbs or cogs that grab onto the skin. Once inserted into the skin they open up to create a support structure that can manipulate the tissue by lifting and repositioning it. The threads stay under the skin where they cannot be felt or seen, providing support to the loose skin. Thread lifting sutures can be divided into two different categories: dissolvable and non-dissolvable sutures. 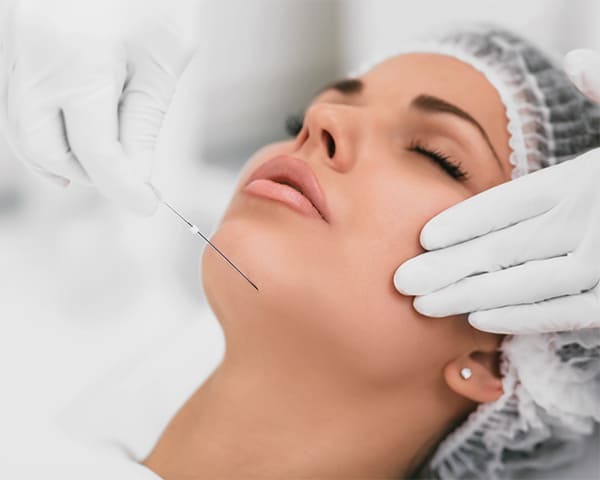 The professionals at EntourageMD use dissolvable sutures, also known as Polydioxanone (PDO) sutures, made from the same dissolvable material as surgical sutures. They do not need to be removed because they are placed beneath the skin where they are absorbed. The thread lift is usually performed in about an hour, depending on the area of the procedure. Unlike a facelift, thread lifting is performed under local anesthesia, so you should be able to go back home following the procedure. You can expect some swelling that can last for a few days, but many say the procedure itself is minimally painful. Unlike thread lifting, a facelift is a surgical procedure requiring heavy sedation. You would need around the clock care for up to three days after surgery and about two weeks off of work and other activities to recover and heal. If you feel like your aging skin makes you look old and tired, find out if thread lifting is the choice for you. Call the professionals at EntourageMD to learn more.